Let’s start with an introduction: Who is Hillary Monahan? An author, a queer woman, a basset hound enthusiast, a feminist, among other things. For the purposes of this interview, I’m a New York Times bestselling author of YA and adult horror under Hillary Monahan. I’ve received critical acclaim for my humorous YA under Eva Darrows, and I have three romances under Thea De Salle coming out from Simon & Schuster starting in February. Your new novel, Gods & Monsters: Snake Eyes, was recently published by Abaddon. It looks rather cool: How would you introduce it to a potential reader? When Horus fell, his Sons fell with him. A broken Legion, beset by rivalries and hunted by their erstwhile allies, the former Luna Wolves have scattered across the tortured realm of the Eye of Terror. And of Abaddon, greatest of the Warmaster’s followers, nothing has been heard for many years. 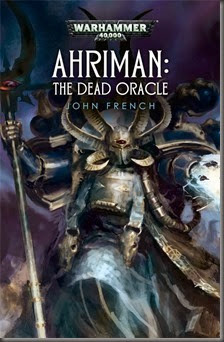 But when Horus’s body is taken from its resting place, a confederation of legionaries seek out the former First Captain, to convince him to embrace his destiny and continue what Horus began. 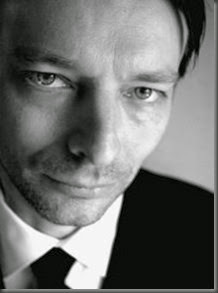 Let’s start with an introduction: Who is Toby Venables? I think I’m finally getting somewhere with him, but it’s been a long haul – I wouldn’t blame someone for having got fed up with it around 1992. 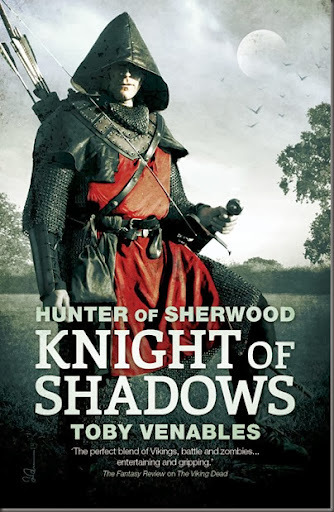 Your latest novel, Hunter of Sherwood: Knight of Shadows, was published by Abaddon in October. How would you introduce the novel to a potential reader? Is it part of a series? The “inspiration” was, initially, very journalistic. 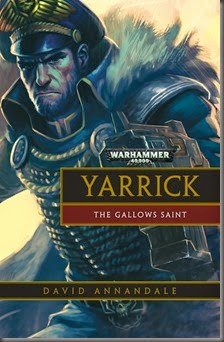 It was a brief, in effect, brought to me by Abaddon’s Commissioning Editor David Moore, who had the idea to do a series which featured Guy of Gisburne as a kind of 12th century James Bond. Who could resist that..? 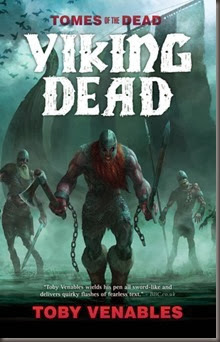 Because I’d written The Viking Dead for Abaddon, which had a historical setting, he thought I might be a good candidate to take this on, then I fleshed it out and built the story, the characters and the motivations that made the cogs mesh. So, it was kind of a gauntlet thrown down – the sort of challenge that I absolutely love – and I’m immensely grateful to David and Abaddon for the opportunity to do it. Such challenges don’t suit every writer, but they are a spur for me. In general, though, what inspires me most is cinema. Although I’m working primarily in prose, overall I’m more influenced by films than by other prose fiction, and I think anyone reading the books will spot that. I try to write in a cinematic way, but also I do make direct – or, sometimes, rather obtuse – references to films I love. In Knight of Shadows there’s a Fistful of Dollars bit, a Raiders of the Lost Ark bit, a First Blood bit… I even crowbarred a reference to The Italian Job. And there are some obvious thematic connections with The Dark Knight. But all those things have a place in the story that is completely logical (let’s face it, many of those films already owe a huge debt to classic stories, legends and folklore). It’s important that it’s not just gratuitous – but also I want to relate the action to things that people will know. That’s partly to give it a relevance and immediacy, but also to bring home the fact that those people were, in many ways, just as bold, resourceful, fallible or funny as we are now. Often I find I want to emphasise the familiar, rather than the exotic, which is perhaps an unusual approach for what is loosely termed “fantasy”. It’s easy to see the past as some kind of foreign land. Maybe it is that, to some extent – but it’s a foreign land from which we all came. For me, part of the excitement of history is seeing its direct relevance to today, and finding those points of connection. Maybe that’s why “a 12th century James Bond” struck such a chord. Crikey. When was it ever not there..? There’s an example I often cite, which is the Beowulf and Grendel story. It was read out to us at school, and the whole bit with the wrenching off of the arm left a strong impression. I think it was the first time I was conscious of something being “horror” – of being simultaneously repelled and excited. I still love that story, and intend to write a version of it some day. A big, dark, monstrous novel. Then as I grew up I started to read a lot of science fiction. I kind of worked backwards, starting with 2000AD, then Ray Bradbury and classic hard SF writers like Asimov, Clarke and A.E. Van Vogt, then H.G. Wells, then Frankenstein. Kind of an archaeological excavation of SF. I also had a very nerdy Tolkien period when I was about 14. I made up totally impractical alphabets and watched the whole of Wagner’s Ring Cycle on TV. I still love that. It’s like proto-cinema. My background is in journalism, and much of what I’ve learned, and my approach to writing, is coloured by that. I was a very undisciplined writer before that, hardly ever finishing anything. Working in journalism taught me about deadlines, and that sometimes getting something done is better than getting it perfect. We’d all love more time to hone what we do, I think, but striving for perfection can become a bottomless pit from which the finished work never emerges. It’s good for the ego to make occasional mistakes and to learn to live with them. 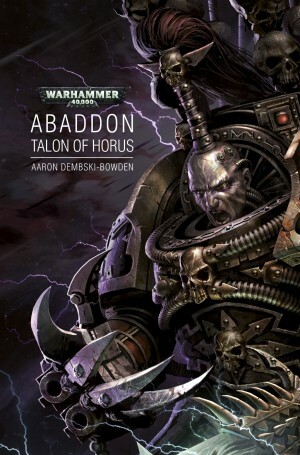 The books for Abaddon were written very quickly, with little opportunity to fuss over them. I still did, but at least there was an editor telling me to stop. Otherwise I’d still be faffing about with the twentieth draft of The Viking Dead, and have nothing in print. Research is something I adore, but if you’re not careful it can become all-consuming – a pleasant diversion from the actual work of writing. It is important to me that things are feasible within their period. I have also woven a lot of actual history (and quite a few historical characters) into the mix, and have tried to ensure that it all fits. But there comes a point where you have to put the research aside – having, hopefully, absorbed enough of it – and just let the characters do their thing. I do sometimes obsess over small details – I’d rather include something real than make it up, if there is indeed something real to be drawn upon – but overall I try not to be pedantic. Some hard-line historical reenacters will not do a thing unless they can find a specific precedent for it in the historical record. I’m not like that. 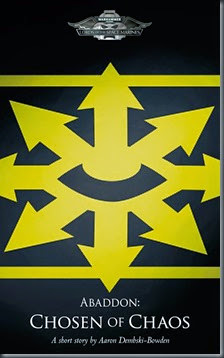 As long as it is possible – and logical, and interesting – I’m happy. People then were not so different from us – just as intelligent, creative and eccentric – and so would have used their ingenuity just as much as we do. Probably more so, through sheer necessity. That’s my fundamental approach. Basically, if a thing was possible, someone probably did it, which opens up some interesting possibilities – such as dreaming up 12th century gadgets for this 12th century James Bond. Ha ha – kind of… I’ve always been a writer. I just didn’t realise it. At university I studied English Literature and Art History, but also did studio work (painting, sculpting, etc.). At one point it looked like I might be an artist – and, in fact, I worked as a printmaker for a year after uni (making angst-ridden, Munch-style views of Cambridge that no one actually wanted to buy) – but nearly all of the artwork I did during the three years of my degree involved words. I should have caught the clue, really. The first writing I remember doing was a ghost story in primary school. Our English teacher read it out, and said nice things about the description. Grown-up kind of things really. He was a wonderful teacher – not at all patronising, which was a rare thing. Looking back, the fact that he treated it as a piece of writing and not something by a kid made a huge difference. It was incredibly encouraging. Naturally, given this early success, I wrote several sequels, and even developed a recurring character. Later, when I was a teenager, I wrote a totally unpublishable “novel” – part SF, part comedy, part psychedelic concept album. If that sounds bad, it was, it really was… It was actually written in a series of episodes, Dickens-style, and several school friends became devoted readers. But Dickens it ain’t. Some bits of it were quite good, but mostly it was just a bit embarrassing, pandering to my captive audience. And I blatantly nicked elements from everywhere: The Hitchhikers’ Guide, TV programmes, films and anything else that we were into. It was full of in-jokes. I just made it up as I went along, which was how I thought novels were written at the time. Consequently, it had a really crappy, cobbled together soap-style ending. I still have it somewhere. Hopefully it’ll never see the light of day, though it probably taught me more than I realise. It’s incredibly rich and diverse at the moment, with lots of crossovers from one genre to another, and also one medium to another. Harry Potter, swiftly followed by Peter Jackson’s Tolkien adaptations, have changed the entire landscape – so much so, it’s hard to remember what it was like before. My wife is also a writer, and when we were first touting TV scripts around about ten years ago, the big frustration was that no one here wanted genre. They thought it wasn’t viable on British TV and repeatedly said “We’d love to make this, but we just can’t…” Then Dr. Who came back, and it all went bananas – genre everywhere. The massive growth of the internet has meant that fan fiction has kind of gone crazy, too. That’s inspired and revealed a lot of new talent. There’s a down side to all this, though – and I don’t just mean 50 Shades of Grey. 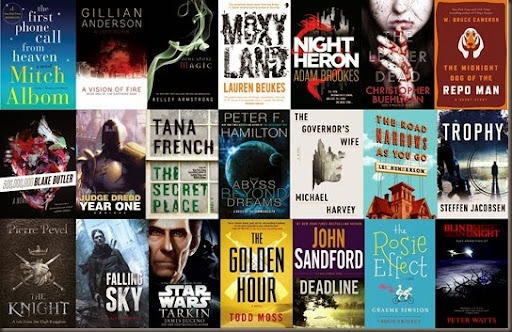 Spurred by this appetite for genre, publishers and writers have started tapping completely new markets – essentially the people who were never really into genre before, but who seem like they might respond a “lite” version. So, we now have some very undemanding, rather wishy-washy stuff out there. I’ve nothing against Twilight and others in themselves – there’s room for it all – but they’re just not my thing. 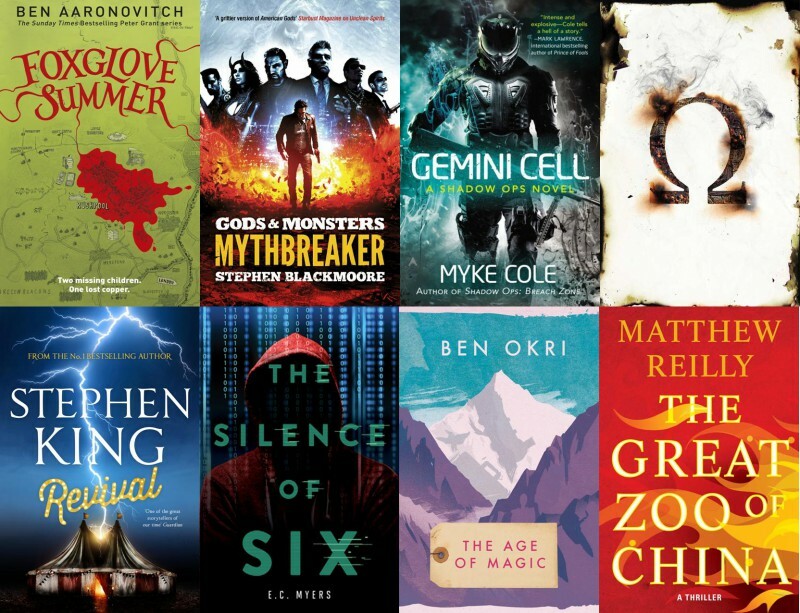 Some of these are the literary equivalent of alcopops – hard stuff made into brightly coloured, fizzy drinks so they’re palatable for teenagers who don’t want their tastes challenged. Mostly I feel it’s a lost opportunity, because cinema shows us that it’s possible to do user-friendly stuff and still say something worthwhile, as with all those great films of the ’80s – ET, Back to the Future, Gremlins, and so on. The key difference is that those were made by people who were really into it, and who knew their genre inside-out. Now we have examples of genre by people who apparently aren’t really into genre, for an audience that isn’t really into genre. That’s never gonna set the world on fire – though some people will hate me for saying so. Where I fit into all this, I have no idea! I think the direction I would like to go is historical fiction, with the occasional horror/SF mash-up. I like unexpected combinations. I just want it to surprise me, and I think most readers want that too. The wizards/dwarves/dragons variety of fantasy isn’t really my thing – at least in terms of what I want to write. The Beowulf novel, when I get around to it, will feature a big dragon, however. It’s old skool – not a noble creature that someone with a funny name has to bond with so he/she can ride it like a big scaly horse, but a ravening monster. Something that has to be destroyed. 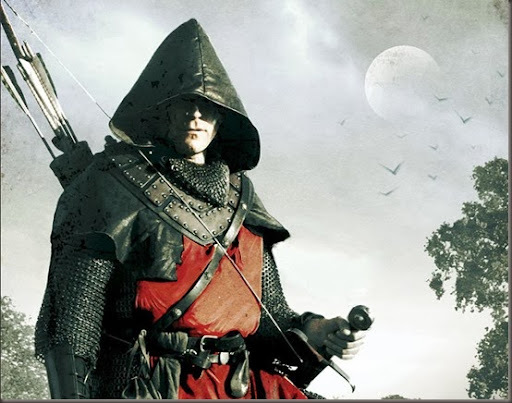 The current thing is the second book of the Gisburne series, whose working title is The Red Hand. It’s about a crazed killer who Gisburne is tasked with stopping and the action takes place mostly in and around medieval London. Think Silence of the Lambs meets Sherlock Holmes – with swords. I’m also planning something rather different, albeit using similar geography – a steampunkish zombie extravaganza set in Victorian London. It’s called Zombie & Son, and is kind of all my favourite 19th century novels put into a blender. With zombies. It begins in a very real, gritty world – no fantasy elements at all – but gradually spirals out of control until London has become a kind of surreal hell on earth (insert joke poking fun at the state of modern London here…). There’s also a screenplay which is waiting to get made. It’s completely different – a contemporary heist/action movie with kind of a western feel to it. 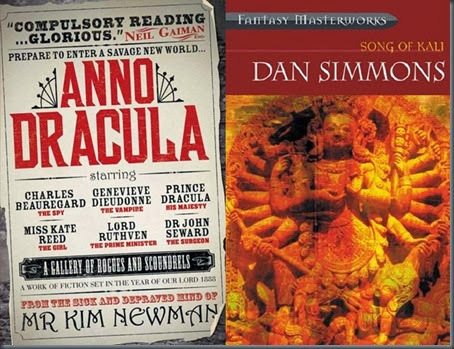 Fiction: Kim Newman’s Anno Dracula. I’ve been meaning to read it for years, but also Zombie & Son (see above) is also set in late Victorian London with some steampunkish elements. Best to make sure I’m not just rewriting what Kim wrote 20 years ago. That would be silly. I don’t think it’s likely – they’re actually very different worlds – but it’s nice to have an excuse to call this “research”. Also, I just got Dan Simmons’ Song of Kali, which I am very much looking forward to. I absolutely loved The Terror – nine parts amazing historical novel, and one part mind-bending horror. Fabulous book. Song of Kali has been described as one of the most terrifying novels ever written. Who can resist that? Non-fiction: lots of books about things medieval – especially 12th century London (for book two). It’s a tricky period in some respects; the next century is when things really take off and the city undergoes massive expansion, so most of the studies of medieval London tend to focus on the 13th-14th centuries (unlike Paris, for which there’s masses of detailed information about the year 1200). But that in itself makes the earlier period of the place interesting to me. Lots of things just beginning, lots of unrealised potential. I won the Keats-Shelley Memorial Prize in 2001, for an essay on Shelley’s “Ozymandias”. The (rather modest) prize was £1,000 and I spent it on a cherry red Fender Telecaster. Very rock ‘n’ roll – or it would be if I was actually any good on it. 52 weekends! I might even get away with idling on some of them… But also, the second Guy of Gisburne book will be finished (I hope) and out. Then I’ll be on to book three, and embarking on Zombie & Son in between. That takes me back to my zombie roots, but steampunk style – and I get to destroy Victorian London along the way. Can’t wait. Both Knight of Shadows and Viking Dead are out now in paperback and eBook!